Commitment to research and development is a commitment to the future. Husqvarna’s OPE division has unveiled its state of the art R&D Center in Charlotte, North Carolina. The new facility will allow engineers and designers to come to market quicker with advancements and improvements to Husqvarna’s broad range of outdoor power equipment. I was lucky enough to be able to tour the new facility seeing firsthand the process of product design beginning with industrial design and conception to the final stages of testing and certification. A large portion of the facility is devoted to product torture and testing. Knowing where the weak points are before product reaches the consumer is paramount to preventing failures in the field. 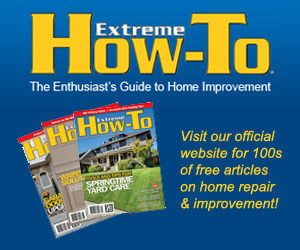 From a design standpoint, Husqvarna actively seeks input from end users and editors of OPE publications. End users have long-term experience with their products and OPE editors see more products than end users and can offer insight to new features that would benefit the end users. One of the recommendations I offered up was a port that would accept a drill/impact driver bit that would allow a user to use a cordless drill/driver to power up the engine, saving the user from pulling the cord. If you have ever flooded a 2 cycle motor you know the benefit of such a device. When I was a young boy and cutting grass to make money, our mower had a cap screw that I could fit a socket and chuck the socket extension into a drill and turn the mower over without endless pulling of the starter cord. Some of the ideas I offered were already being considered. 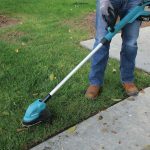 Husqvarna’s 36 volt platform including its TB1000 tiller would benefit from a charging port on the battery that would allow the end-user to leave the battery attached to the tool while it charged. Batteries of this size are difficult to carry for small framed people and the option to charge in place would spare them carrying the battery to a remote charger. 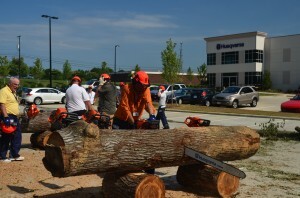 All of the editors gathered enjoyed the hands on demonstrations set up by Husqvarna’s outstanding staff. 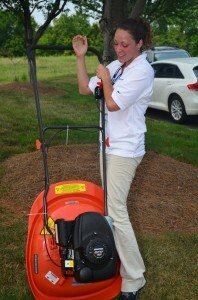 From racing Zero Turn Mowers to Garden Tractors and getting the chance to use many products I was unaware Husqvarna offered, the event provided a unique opportunity to expand our knowledge and build relationships with the experts at Husqvarna. Watching Husqvarna’s team demonstrate plunge cutting technique I learned a better way of felling trees. Look for a “How-To” article and video upcoming to show this method. The method was much cleaner than the hinge method I learned years ago and appears to offer much improved accuracy in felling a tree exactly where you want it. Many thanks to Evin Ellis and her team for its hospitality, we learned, we played and we had fun.